Kate has been invited to perform at JFL42 in Toronto, Off JFL + Zoofest in Montreal, SheDot Festival, NXNE, SirusXM Top Comic, HBO's Women in Comedy Festival in Boston, and became the first woman to win the Toronto Comedy Brawl in its 9-year history, beating out over 400 other comedians. 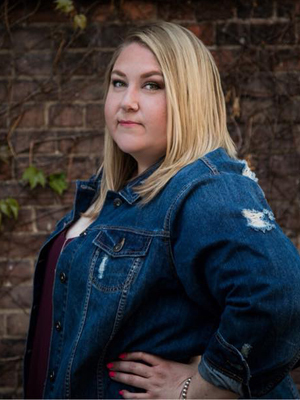 In 2018, Kate has continued to stand out, winning multiple competitions including The Comedy Store’s King Gong show in London UK, and the Brantford Comedy Festival’s Rising Star. Kate has been heard on SirusXM Canada Laughs as part of the AltDot Comedy Lounge, produces and shows in Toronto with BarrStar Productions, and hosts a new comedy and well-being podcast with writer and comedian, Sara Starkman called, A Positive Spin.